Quetta: The perpetrator of one of Pakistan´s worst ever suicide bombings has been identified as a jihadist who spent at least two years fighting against foreign troops in Afghanistan, authorities said Thursday. Last week´s attack killed at least 149 people and was the latest in a series of deadly blasts at various election campaign events ahead of national polls on July 25. A DNA test on the attacker´s hand, found at the scene of the blast, identified the bomber as Pakistani national Hafeez Nawaz, authorities told reporters in provincial capital Quetta. 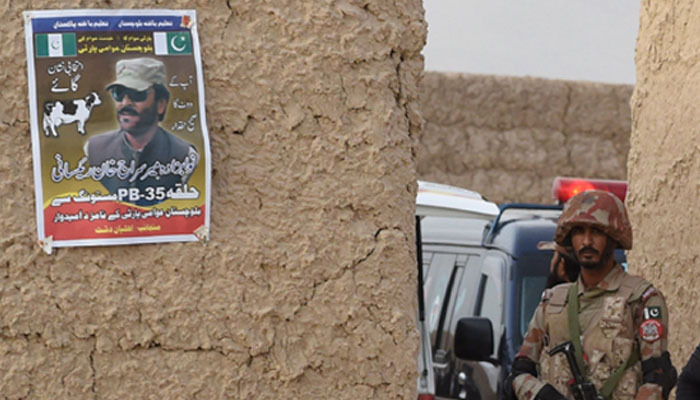 Nawaz´s family "confirmed their son had been in Afghanistan for the last two years to wage jihad against the international coalition" backing the Afghan government, senior counterterrorism official Aitzaz Goraya said. The bomber must have worked with others to execute the attack in southwestern Mastung district and police were hunting his accomplices, Goraya added. Last week´s blast targeted a rally by local politician Siraj Raisani, in an attack claimed by Islamic State. Raisani was among those killed. Attacks at election campaign events have killed at least 156 people, including one other local politician, ahead of next week´s elections. Violence has dropped significantly since the country´s deadliest-ever militant attack, an assault on a school in the northwestern city of Peshawar in 2014 that killed more than 150 people, most of them children. But analysts have long warned that Pakistan is not tackling the root causes of extremism, and that militants retain the ability to carry out spectacular attacks like the Mastung blast.